Jenny is one of the friendly faces and voices you will come in contact with when first contacting Blackstone Physiotherapy! She has been with the Clinic for 9 years and is everyone’s ‘right hand woman’!! 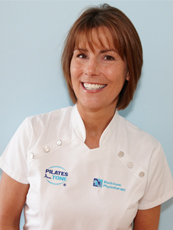 Jenny will deal with any of your enquiries in relation to appointments, payments, Pilates, health insurance etc.